AOC puslapyje klaida, panelės tipas - MVA. Klaidinantis gamintojo aprašymas, visgi MVA. Jūsų aprašyme parašyta MVA, o gamintojo puslapyje IPS, kaip yra iš tikrųjų? Featuring advanced AMVA panel technology, 4K UHD resolution, 95% NTSC colour gamut and a large 31.5-inch screen, this display is designed to impress demanding professionals. The AOC U3277FWQ helps you stretch your productivity to the limits. 4K Ultra HD resolution reveals the finest details on a large 31.5-inch 16:9 screen that is ideal for multitasking. Featuring advanced AMVA panel technology, you’ll enjoy accurate color reproduction (95% NTSC and 100% sRGB, 1 billion colours), wide viewing angles and quick refresh rates, no matter what you’re doing. A range of connectors like HDMI 2.0, DisplayPort and DVI makes it easy to hook up your PC, laptop and other devices, plus built-in speakers deliver clear sound for music or video. 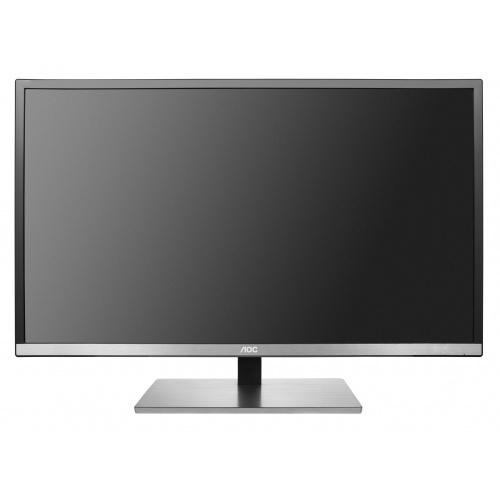 Monitorius AOC X24P1 24'', IPS, FullHD, D-SUB/DVI/HDMI/DP, Garsiakal. Monitorius BenQ BL2780T 27'', panel IPS, DP/HDMI, garsiakl.